Stick It-Double Sided 3D Foam Dots. 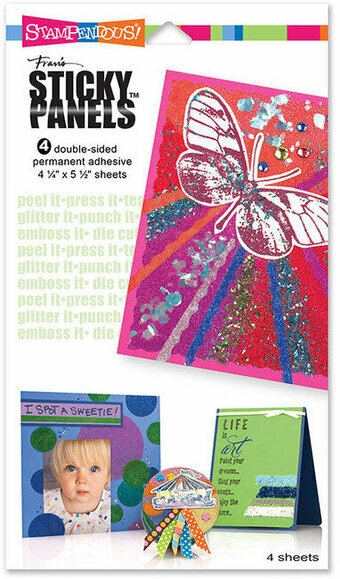 The ideal way to add dimension to your cards and scrapbooks! This package contains 152 double- sided 3D foam dots on one 9-1/4x4 inch sheet. Acid free. Imported. These 4 - 4 1/4" x 5 1/2" sheets of ultra strong but super think double-sided adhesive will allow you to tear, punch, or cut to create fantastic results. With lots of ideas on the packaging and online, you'll wonder how you lived without this product that, quite simply, holds it all. Contains 4 sheets. Tape Roller - Double Sided Permanent Adhesive - 8mm x 7m. This dot adhesive refill will not string or break. It's easy to use applicator with roller tip is for smooth application. Simple to refill with a snap in cartridge that is color coded. Apply either straight or curved line for exact placement. It is archival safe, acid free, photo safe and non-toxic. 1/3" X 472 inches. Refill for Tombow Permanent Adhesive Dots #62147. Adhesive bonds instantly, cleanly and wrinkle free and is safe to use on paper, photos, cardstock, etc. Easy to refill with snap-in refill cartridge. Approved Photographic Activity Test (PAT) and is ideal for use with memory albums and other archival materials. Permanent for strong bond. (PAT) Photographic Activity Test approved. Acid free; refillable. Craft Glue and Tape - Item #TB-62106 - See More Items Like This On Clearance! Dual applicators in one ergonomic dispenser. Pen tip for small areas or fine line of glue and broad tip for large areas. Strong permanent bond that goes on clear and dries clear makes it ideal for photos, cardstock, fibers, buttons, etc. Acid-Free and non-toxic. Acid Free. Two tips. Photo-safe. Non-toxic. Washable. 1.69 oz. With pin point coverage for detailed glueing, the Glue Pen dries instantly, with no mess and won't stick to your hands. The easy to use, non-squeeze applicator offers an ultra permanent bond that adheres to metal, plastic, paper and more. Non squeeze applicator. Glue will not stick to hands. Pinpoint application. Acid-free. Strong bond. 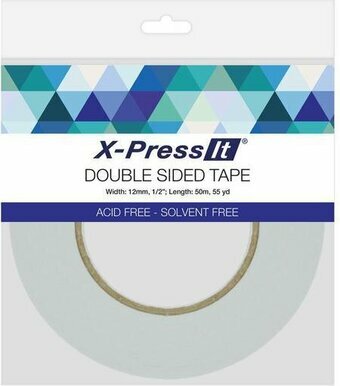 A double-sided tape that is perfect for photos and other surfaces, making it ideal for scrapbook layouts and cardmaking. It is heat-resistant, acid-free and solvent-free. 0.5" x 55yd.